The 9 Best Luxury Car Dealerships in Iowa! Whether your vehicle dreams center around BMW, Audi, or Cadillac, perhaps even Mercedes-Benz or Porsche, there are a handful of luxury car dealers in Iowa that can make those dreams a reality. Spread out across the state from Davenport to across the border in Cedar Rapids, a few luxury car dealers in Iowa focus exclusively on one certain make, while others bring a larger collection to the show lot. 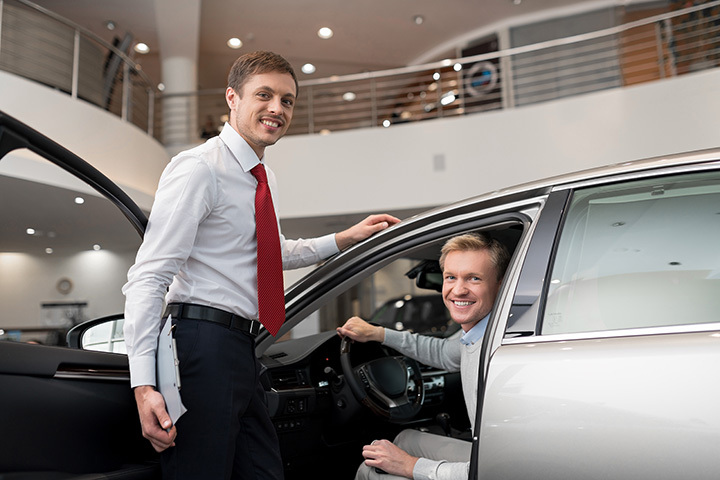 To find the right ride for you in Iowa, make your first test drive at any of these nine best luxury car dealerships in Iowa. From convertibles to coups and trucks to wagons, Lujack Luxury Motor Cars of Davenport carries only the finest models of transportation. With a lineup featuring Audi, Mercedes-Benz, Volkswagen and Porsche, including new and used inventories, for the most stylish ride, find you way over to this Davenport mega-store of luxury vehicles. Locally owned and operated, European Motors Limited of Cedar Rapids should be your first stop when finding parts, looking for service or searching for a new luxury ride. Featuring a new and pre-owned inventory of such luxury motors as Lexus, Mercedes-Benz and MINI, half the fun of visiting European Motors Limited is viewing the large inventory of luxurious cars. The other half of the fun is pulling out of their driveway with a new ride. Featuring a huge selection and wide range of vehicles, and over four decades of service to the Iowa City and eastern Iowa community, Carousel Motors is great place to find your new ride. With dozens of different makes of vehicles at Carousel Motors, some of the most luxurious that top the list are Audi, Mercedes-Benz and Volkswagen (just to name a few). To get behind the wheel of a new Bimmer, make your way over to Des Moines and visit the BMW of Des Moines show floor. Featuring the latest makes, models and motors from the BMW lineup, BMW of Des Moines holds one of the authorities in Iowa for this luxury name brand. Alongside the new selection of BMW’s at this Des Moines location, the dealership lot is full of like-new, pre-owned vehicles for you to peruse. For your next Lexus and the best service for it, the Lexus Quad Cities location in Davenport has a long-standing reputation for excellent service. Featuring the newest models of Lexus vehicles to hit the floor, Lexus Quad Cities also maintains a well-stocked inventory of pre-owned and used vehicles at a more competitive price. Test drive you way over to the Lexus Quad Cities and see for yourself the selection to explore. Any time of the year is the right time for adventure when you are driving a Land Rover, and if you want to find yourself behind the wheel of one in the near future, Land Rover of Des Moines is the first place you’ll want to visit. Featuring the latest models and innovate features of the complete Land Rover Line, alongside a deep selection of pre-own and used Land Rovers for sale, Land Rover of Des Moines can have you riding in style in no time. For an exclusive look at the BMW lineup, BMW of Dubuque is one the main authorities of these luxury vehicles in Iowa. Featuring an eye-catching sales floor, a non-competitive sales force and plenty of brand new vehicles to check out and drive, just the visit to BMW of Dubuque is a fun experience. Driving one of the Bimmers home though, that’s where the real fun kicks in. For a smooth ride and easy sales experience, Willis Lexus of Des Moines delivers when it comes to customer satisfaction. Featuring the latest and greatest rides from Lexus, it’s all about finding what’s right for you at Willis Lexus of Des Moines. Also featuring a great lineup of certified pre-owned vehicles, a full-service repair and maintenance department and special financing offers, it’s easy to find what’s right for you at Willis Lexus of Des Moines. Featuring a long selection of new and used Audi luxury vehicles, the Audi Des Moines is your one-stop destination for all things Audi. Whether it’s repair and maintenance, special financing or finding your next favorite vehicle, everyone who visits Audi Des Moines experiences a luxury accommodation. To get your new wheels on the road fast, Audi of Des Moines can have you driving in luxury in no time.